Labour leader and Doncaster North MP Ed Miliband has apparently taken a swipe at former mayor of Doncaster Martin Winter after a series of revelations about him in a national newspaper. The Mail on Sunday has been serialising a forthcoming book by Mr Winter - who stood down in 2009 after becoming embroiled in a series of scandals - which present Mr Miliband as a calamity figure. Mr Winter claimed that Mr Miliband told him in October 2007 - a year before the crash - that the British economy was about to ‘fall off a cliff’ and that Labour had wanted to call an early election to stay in power before voters found out. Mr Winter was a professional Rugby League player and won the first ever election for a directly elected mayor, gaining re-election in 2005. Following the local elections of May 2008, he declared that he would govern as an independent mayor, with the support of two of his cabinet members. The Labour Party gave him an ultimatum to back down. At the same time, the Council was faced with two reports from government inspectors, accusing it of serious failures. In 2008, he was expelled from the Labour Party and members of Doncaster Council supported a motion of no confidence in Mr Winter that summer by 42 votes to eight with seven abstentions. However, he refused to resign and pledged to see out his term of office but in January 2009, Doncaster Council was deemed to be seriously failing in its delivery of social services following the deaths of seven children that were on the local “At Risk” register. 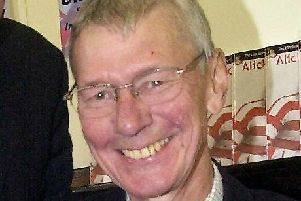 In March 2009, he announced he would not be standing for re-election in June 2009 and was replaced in the mayoral hotseat by Peter Davies.